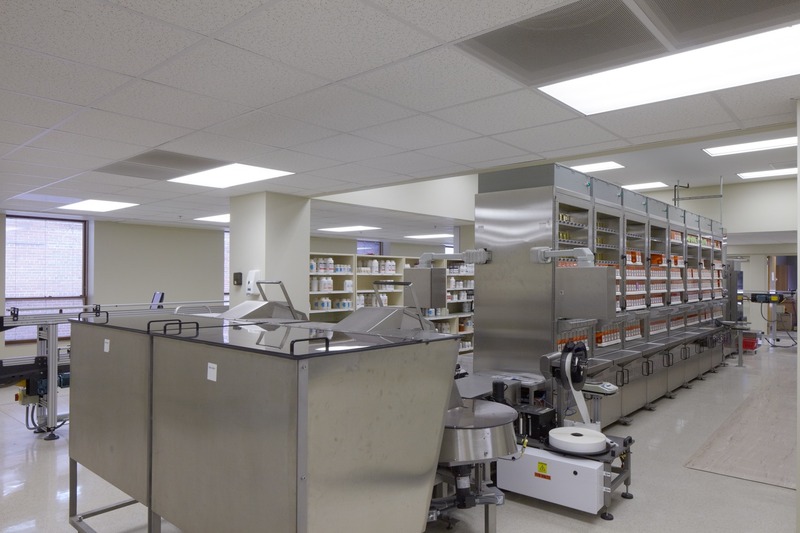 The Oak Forest Hospital Pharmacy Build-Out project consists of a gut-rehab renovation of 13,345 square feet of space on the second floor of “Building F.” The space was previously used for patient rooms and will be renovated to house a new mail-order pharmacy. Work includes the demolition of existing walls, ceilings, electrical, mechanical, plumbing, and fire protection. 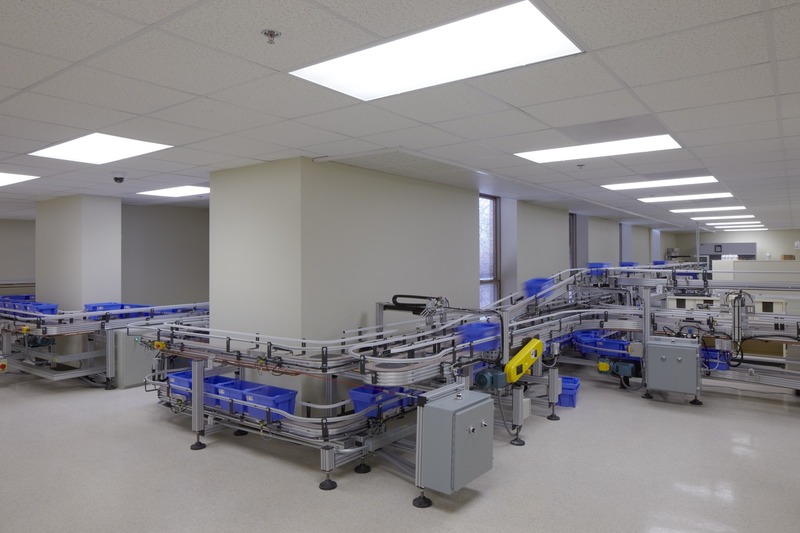 New build-out entails updated MEP/FP systems, VCT flooring, painted drywall partitions, acoustical ceilings, and furniture. 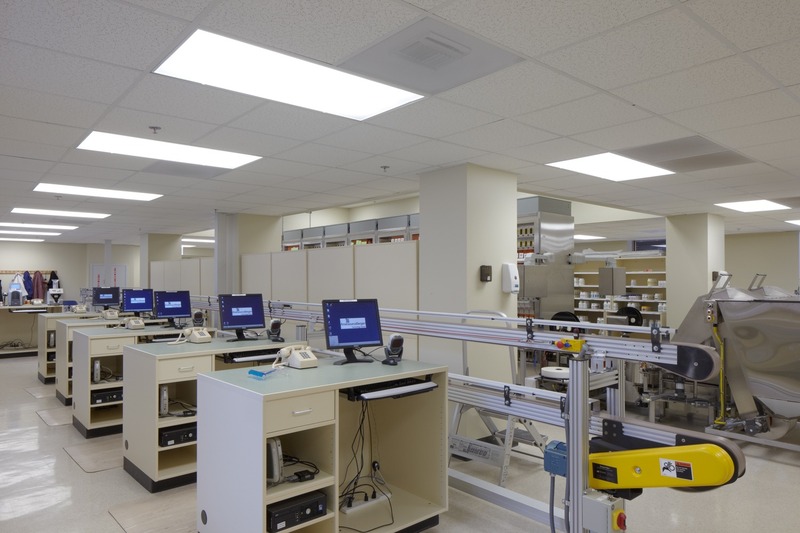 A highlight of the project is a new prescription filling machine that uses robotic technology to process orders.